Equipped with arguably the most experienced and talented background in the state, North is out in front of the pack right now in a year that promises to see a changing of the guard at the Division 1 level. This team will go as far as Tyrese Haliburton and Quincy Anderson take them. If both play at an unselfishly high level in March then holding the gold ball over their heads in Madison is a distinct possibility. Super sophomore Jalen Johnson is back in the fold and highly talented senior guard Marlon Ruffin has been an aggressive dominant force all season. Sitting at 11-1 Sun Prairie might very well be the most talented roster top to bottom and while Johnson and Ruffin can each drop a 20 piece and then some on any given night, how far they go could really be based on the like of Taylor Jansen, Delaware Hale, etc. Love Hale’s big picture potential. Another legitimate state title contender come season’s end. As last night can attest, no matter the score or amount of time left on the clock this team has a chance. They’re extremely well coached and their roster is athletic, talented, and they compete. Love what 2018 Gacoby Jones (A D1 PG being slept on heavily by the way), 2020 G/F Alex Antetokounmpo, and 2020 G Abe Scruggs IV bring to the table. But like all Gosz coached teams, their usually balanced, they bring max effort, and when it matter’s they’re generally in the thick of things. All 3 of those I mentioned are legitimate Division 1 prospects, be it the low, mid, or high major level and when you have that kind of talent combined with solid experienced coaching it’s hard to pick against a team like that. Sitting at 10-1 they boast 3 players who average double figures and one who basically does on a round up to 10 ppg. They’re tough and they’re only getting better. On paper this team is a no brainer, arguably the best 2021 prospect in the country in Arizona State verbal commit Michael Foster, junior do it all talent Deontay Long, and senior lead guard Jordan Dinsmore who recently grabbed a D1 offer from Montana State. They should go undefeated in the City Conference and they should win the Division 2 state championship but consistency amongst other things could also prevent them from doing so. They have appeared to find that blend of team recently and provided they continue to do that they really have no equal in their Division on pure talent alone as their size, skill, length, and overall talent is hard to compete against for most teams in the state. Pewaukee, Cedarburg, La Crosse Central, Whitnall, Kaukauna, etc. will all have something to say about that come season’s end though. The defending D2 state champions, Central is tough, talented, and deep. It starts with sophomore Johnathan Davis but fellow sophomore Terrance Thompson and twin brother Jordan Davis deliver at a solid level too. Mix in Noah Parcher, David Hayden, etc. and there’s a lot of balance and talent to compete with up and down the roster. 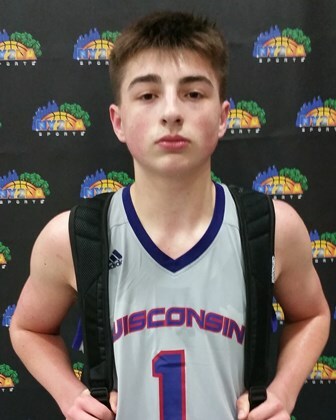 An opening game blemish is all they have against them at 11-1, this team, Kaukauna, and perhaps Whitnall with a healthy Herro playing at his best are the biggest obstacles for Milwaukee Washington to overcome. Others of Note – Brookfield East, Kimberly, Kaukauna, Pewaukee, Cedarburg, Madison Memorial, Brown Deer, Racine Park, Bay Port, Waunakee, Brookfield Central, Martin Luther, Xavier, Waupun, Monona Grove, Destiny, etc. A team that continues to quietly move along winning game after game, Pewaukee is not getting the hype some others may but Wright State bound senior Grant Basile has had an excellent senior campaign and they’re extremely well coached. The 1-2 punch of Basile and Jack Gohlke has been sensational this season and few coaches get the most out of their players like Head Coach Mike Basile. This is one of those teams no one wants to play come March. The Wright State bound big man is averaging close to 24 points a contest for a team that’s 13-1 and will challenge for the Division 2 state title. When it comes to player of the year candidates Basile is in that conversation because he’s delivering at a high level and his team is winning game in and game out. 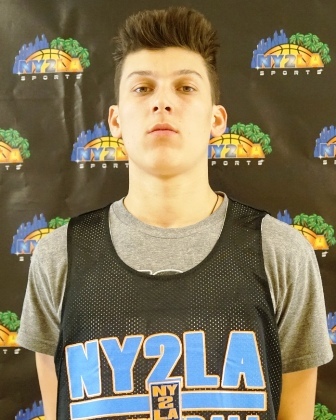 A sharpshooting machine, Diener is De Paul bound and only getting better. Equipped with size, skill, instincts, bounce, and power, few in the state are as difficult a cover on the offensive end of the court as Diener. He can score at each level, his range is well beyond the arc, and he’s got swagger and the ability to just take over the game in big fashion. Currently averaging 26 plus points a game for Cedarburg who sits at 11-1, Diener has been exceptional again this season. The Kentucky bound sharpshooter is healthy and back on the hardwood and in terms of overall results this season Herro has been the trendsetter. No talent has had to endure as much scrutiny, criticism, etc. in the senior class as the future Wildcat. The talented scoring guard is instinct electricity and only McCabe can rival that type of excitement when he takes the floor. Averaging close to 30 points a contest, Herro is the most dangerous talent in the state in the 2018 class because he can simply take over the game and there’s nothing defenders can do about it. When he’s locked in forget about it. Expect a bit of a chip on his shoulder the rest of the way after yesterday&rsacquo;s McDonald’s All-American announcements. If Tyler is laser focused and healthy that doesn’t bode well for opposing teams. This young man is being slept on heavily and he’s got a chance to make a lot of schools regret not recruiting him. Athletically in the class none compare and skill wise his handles, ability to break down opposing guards, and his overall ability to just fill the box score and create chaos on both ends is a difficult cover. Averaging close to 20 points a game for Dominican who sits at 10-1 on the season, Jones is the catalyst for them. For the low to mid Division 1 college coaches not giving him a look, you can keep sleeping while he keeps balling on the hardwood. Someone in the right spot is going to get a steal with him if they do their homework. 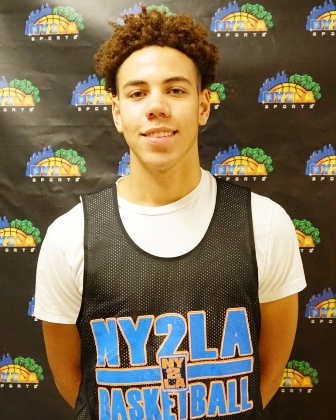 A talented emerging perimeter prospect who delivered a solid campaign last spring and summer, Jenkins has nice physical tools to go with instincts, skill, and feel to make for an intriguing prospect. Averaging 15 points a contest right now Jenkins has put together a solid junior year for 10-3 Kettle Moraine. He’s another low to even possible mid Division 1 prospect who looks primed for a big spring and summer. Few, if any, juniors in the class are looking the part of late bloomers to pay close attention to this spring like Hale. Equipped with a strong and athleticism 6-7 plus length frame, Hale can fill the box score on both ends. He has solid rebounding ability, he runs the floor and can finish, athleticism he’s gifted, and his skill has quietly improved. He’s in a role player type situation right now for Sun Prairie with Ruffin and Johnson out in front but expect a big spring and summer from him and Division 1 schools need to have him on their radar as a must watch talent the next 8-12 months. Thompson had a breakout spring and summer campaign in this past year’s GNBA circuit with the Butler Elite program at the 8th grade level and after Thompson has simply continued to build on that while delivering at a high level this season. Averaging close to 20 points a contest for Case as a freshman, Thompson is a pure scorer at heart. He can finish at each level with consistency and he’s far from a finished product. Another legitimate Division 1 prospect in a loaded 2021 class statewide, Thompson gets buckets in bunches.